He was undeniably one of the most popular sportspersons ever. 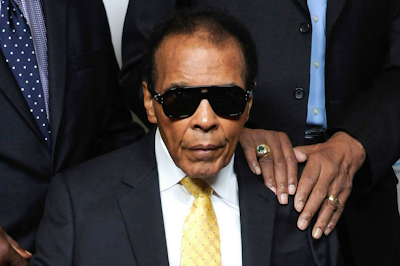 But outside the rink, legendary boxer Muhammad Ali followed a distinctly mortal private life which saw him marry four times and father at least nine children. It has now left behind a divisive and complex legacy which threatens to tarnish his memory. Family disputes, some years before Ali’s death, came out in the open between his younger brother Rahman, his estranged son Muhammad Ali Jr, and Ali’s last wife and widow Yolanda “Lonnie” Williams. Charlotte Waddell, a relative of Ali, claimed in an interview a couple of years ago that Lonnie controls all of Ali. “I can’t stand to be around her,” Waddell said, adding that it won’t take her two seconds to spit on Lonnie’s face. Lonnie married Ali in 1986, after she moved to California to be the ace boxer’s full-time nurse, three years after he was diagnosed with Parkinson’s. She allegedly used her power of attorney over the various affairs Ali had, and separated all unwanted family members from his complex web of relationships. Muhammad Ali Jr, in a separate interview, claimed to be living in a loft at a Chicago ghetto. He alleged that he was almost entirely quarantined from his father since 2004. Rahman Ali, himself a professional boxer who is said to have had six wives, was a key member of his brother’s entourage. Rahman, now 72, was allegedly thrown out of their mother’s family home by Lonnie, into a tiny apartment. But Lonnie’s supporters, over the years, have credited her for restoring order into Ali’s chaotic life. Ali had made and lost fortunes in equal measure and stability was restored only in 2006 when he sold his global image rights for £30 million. Ali had no children with Lonnie but the couple adopted five-year old Asaad Amin, who they raised as their child. Lonnie was reportedly at Ali’s bedside when he died, along with Laila Ali and her sister Hana Yasmeen. Laila and Hana were children from the boxer’s third marriage to Veronica Porsche which lasted from 1977 to 1986. Laila became a career boxer and remained close to Ali. He was often present at her fights, including the 2001 bout with Jackie Frazier-Lyde, the daughter of Joe Frazier. Ali became involved with Porsche when she worked as a poster girl for adding glamour to his ‘Thrilla in Manila’ fight with Joe Frazier in 1975. 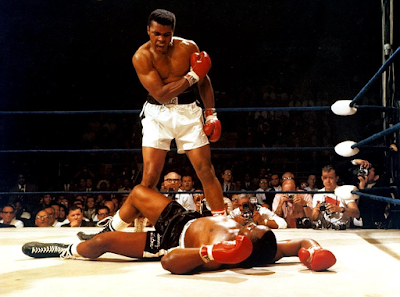 It effectively ended Ali’s marriage to his then wife Belinda Boyd, who was renamed as Khalilah Camacho-Ali, following her conversion to Islam. Ali and Camacho-Ali had four children from their marriage which lasted from 1967 to 1977. Boyd was only 17 when she caught Ali’s eye at a Kentucky bakery. The couple had three daughters, Maryum (who was also reportedly at Ali’s deathbed), Rasheda, Jamilla, and their only son Muhammad Ali Jr.
Camacho-Ali had tried hard to prevent her husband from straying. But she could not break the boxer’s infatuation with Porsche. Camacho-Ali, after her divorce with Ali, worked as an actress and appeared in The China Syndrome. Ali, while married to Boyd, had two love children. Miya, the first, was born on 1972 of Patricia Harvell. Khaliah, the second, was born in 1974 to 16-year old Wanda Bolton. Khaliah was later renamed as Aaisha Ali. She and her mother lived at the boxer’s then training pad where Boyd shared the parenting. There were many others who claimed to be Ali’s children. In 2014, 35-year old Kiiursti Mensah Ali from Houston, claimed to be Ali’s son. His mother, Barbara Mensah, was supposedly in a relationship with the boxer during his heydays. Ali was married four times, including his childless first marriage to 23-year old model Sonji Roi. He met her in 1964 when she was a cocktail waitress. Their 16-month marriage was turbulent. Roi complained of the tremendous pressure she had to face regarding converting to Islam and wearing Muslim dress codes. Roi died in 2005.